Memories M&M Cookie Gone By / Hey, EEP! 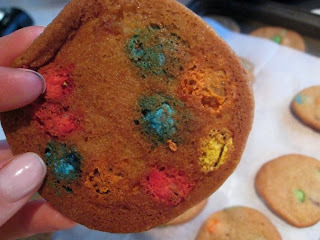 Out of everything that I've made over the years, these M&M cookies are the favorites of my friends. I used to make them every week for the boys lacrosse team in high school! 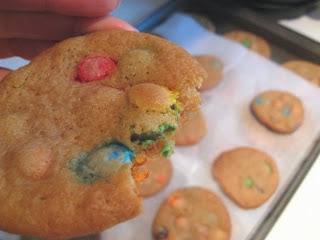 Recently my M&M cookie output has been at an all time low, so my friend Travis requested a fresh batch. I've tweaked the recipe but their original inspiration stems from the Tollhouse recipe. 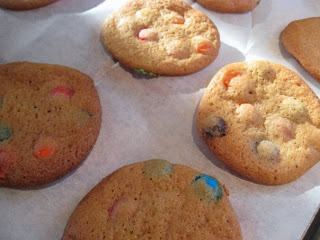 Recently I read in The Man Who Ate Everything, the Tollhouse recipe for Chocolate Chip Cookies and M&M Cookies is exactly the same...the difference resting only in the tiny candies speckled throughout! Lazy me hasn't taken to time to compare the recipes just yet, but once I do you'll be the first to know!